Order top-rated Alexandria lawn care services online - instantly. Jose and crew were fantastic. The yard needed the leaves removed before they could mow. They sent us a quote, which we accepted, and they got to work. The yard looks amazing; they even took extra care to clean up our mulched areas! Great job! The front and back yard look amazing! We are so happy with the work of Romel and his team, they did a wonderful job. We currently have no rainfall data available for Alexandria, VA.
Just south of Washington, D.C., Alexandria isn’t just a second-choice stop to the nation’s capital–and it’s anything but dull. This quiet city is best known for its historic Old Town district, a preserved area of brick sidewalks and preserved eighteenth and nineteenth-century buildings, but the exciting attractions don’t stop with relics from the past. Although it’s only a short ride from the nation’s capital, Alexandria is a great place to make your permanent home. This colonial town offers contemporary and historic attractions alike. If you’re a nature enthusiast, be sure to check out Huntley Meadows, a wildlife park and refuge that provides a fun, educational adventure for the whole family. If you’re a fan of all things old-fashioned, make sure you check out the area’s many museums. The Stabler-Leadbeater Apothecary Museum is one of the most exciting attractions, showcasing the original ingredients, products, and documents served to famous customers such as the Washingtons and Robert E. Lee. Alexandria's Christ Church is a great place to take in a mass, or you could spend your Sunday relaxing at one of the city’s many parks, such as Founders Park. Even better–you won’t go hungry in this quaint city. It hosts a myriad of fine dining options, as well as moderately priced foods or world cuisine. Check out Hank’s Oyster Bar for an eclectic take on this popular seafood or visit the Hard Times Cafe for an inexpensive burger. You weren’t meant to spend your summers at home–you were meant to get out there in Alexandria and enjoy everything the city has to offer. Don’t spend another single second worrying about who is going to tend to your lawn while you’re off having fun. Let LawnStarter do the work for you. LawnStarter is the premier service for all things lawn care in Alexandria. Friendly, accessible, and easy to use. Simply log onto the convenient LawnStarter app and plug in your specific details, such as your street address, desired services, and price point. We’ll provide you with a personally-tailored list of available services and prices, all designed to fit your schedule and budget. From there, you can use the LawnStarter app or desktop website to schedule, cancel, or modify any services you wish to purchase. We will be at your house shortly to get your lawn and garden looking fresh and new while you spend time doing what makes you happiest. We are happy to accommodate even the most unique requests, and are happy to work with you to make sure your every need is satisfied. Our customers always comes first at Mowing & More. 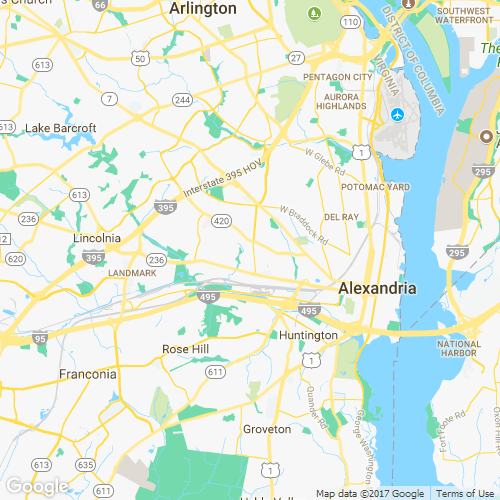 We've been providing top-notch lawn care to homeowners in the Maryland and Washington D.C. area for several years now. I try to offer all of my customers the best experience possible, and LawnStarter has been great at allowing me to go above and beyond. Allowing homeowners the ability to pay with their credit cards is a huge perk and LawnStarter has made it so simple to add that to my business. We want to provide our customers with the best lawn care possible, and the freedom to spend their weekends doing what they want. With over 20 years of service, maintaining lawns for happy customers is our thing. In future, please cut the entire side yard and don't stop short 1 foot from the neighbors driveway. The neighbors won't mind and it just doesn't look finished. Plus you might get him to sign up to do his whole yard. I realize why you didn't cut this but it doesn't look finished. Carlos responded to my request for an earlier-than-scheduled first mow of the season, and completed the work without leaving a mess behind. Highly recommended! James did a great job; very professional and thorough! Best so far! A couple of my bushes got some chunks taken out from the edger and my clematis was cut entirely, despite climbing up a decorative iron trellis. Otherwise, great job! Overall good job! There were a couple small missed spots, and I would prefer if the weed whacker could also trim the growth around the gardens (see pictures). Thank you! Best the lawn has ever looked. Great work. My daughter lives next door and she informed me that Antonio did an excellent job! Thanks to Antonio! The grass around the tree in the front yard was not mowed again. Looks awesome as always ! I have a yard again and it looks fabulous! Thank you! Excellent service as always. On time, professional, detailed, great work! Looks great thanks, wondering if you trim hedge or bushes. B.Rushing Lawn And Landscaping, Inc. Thank you for mowing less short. High setting is best. Tried to send a text message earlier. We should have LawnStarter mow my lawn every two weeks. Also, next time it would be helpful to mow weeds next to the sidewalk on W Braddock Road on the side of my house. This is my property too. Really appreciate getting the back corner of lawn and edging this time around! Missed a side yard behind the gate on the south side of the house. Or if you are looking at the house from the street, the gate on the left side of the house. No biggie. It's a small area. Thanks!! Lawn looks great! The Lawntrepreneur Scholarship is our way of giving back to the up and coming young entrepreneurs in the Alexandria, VA area. #2-B.Rushing Lawn And Landscaping, Inc.
Everything looks good. Thank you for closing gate when finished. Next time can we start mowing with the blade at one level lower? I feel like the lawn is still high even after its mowed. Jose and his team showed up promptly, wirked hard and did an excellent, detailed job. I even asked about a last minute help landscaping. He gave me a quote and took carebof that as well. Jose is very professional to deal with and takes pride in his work. Thank you! You got a portion of my "flower bed" that was completely taken over by weeds, I was hoping you would get that. Thank you! Thank you for edging around the fence line, it looks better. When you mow, please go ahead and mow over the plants that are growing into my yard from the neighbors yard because I really don't want those. Thanks a lot!